Click on the topics in the left column to find what you need. I have started a new website, click here- Healthy Fit Kids. 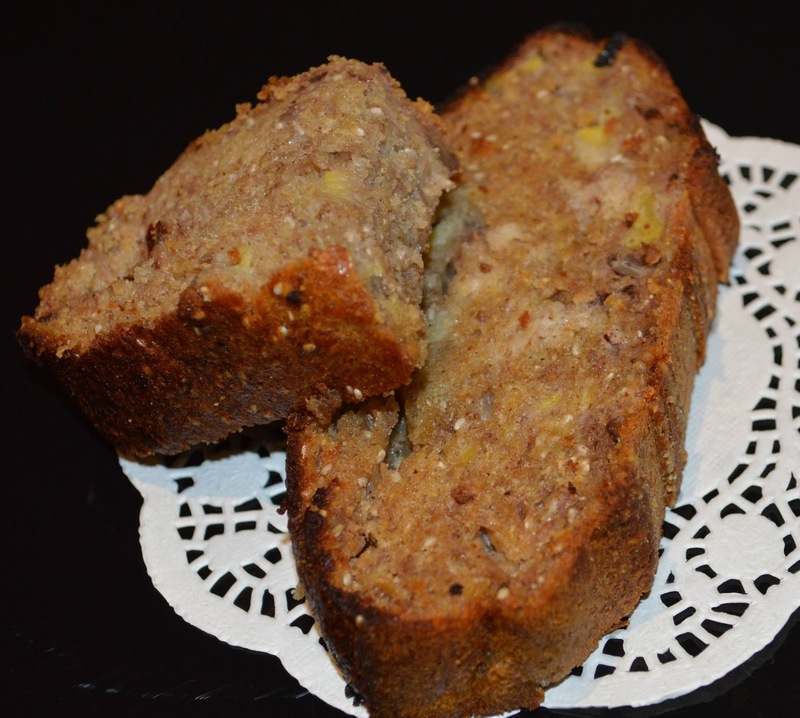 Banana bread/cake. Sooooo yum and refined sugar free! - 125g of unsalted butter. - 250g self raising flour (I use wholemeal). - 2 tablespoons of honey (I use raw only). 4) Fold in flour, cinnamon, honey, pecans and banana mixture. 5) Pour into loaf pan and cook for about 40 minutes or until cooked through. You can check it's cooked by placing a skewer into middle and if it comes out clean your banana bread/cake is done. Cool in pan for about 15minutes then carefully tip out onto a wire rack. Eating your banana bread/cake warm is definitely the best or you can even toast it and have it with butter. Fun way to teach colours. Making it fun is always a winner! I just used a piece of white cardboard and cut into an oval shape (which was up cycled from the cardboard label when I bought a new mattress protector). Coloured pegs from the supermarket and then I drew the coloured circles on and wrote the name of each colour beside it. My kids love this. 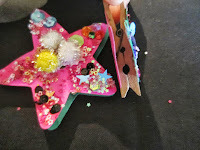 - Lay it all out as pictured and get your kids to place the pegs on the correct colour. - OR TO BE TRICKY- place the pegs on an incorrect colour dot so they can swap them over to the correct colour. Fine Motor Skills & Hand Eye Co-ordination. Threading is the most popular and effective fine motor skill activity for young children. Threading is also fantastic for their hand-eye co-ordination. This is a simple and easy yet effective activity to do with your munchkins. Use your vegetable steamer and grab some pipe cleaners or even wool would work. Thread the pipe cleaners through the holes, you can also make patterns going back and forth. Teach your child their address- VERY IMPORTANT! Knowing their address is generally a good thing to know, after all, it's where they live. It is great for their cognitive (thinking) skills, helps with their memory and is fantastic for learning numbers, letters & words. As well as learning about their town, state and country. This is especially important in the unlikely event they could get lost or separated from you. Well there you go.... the benefits are endless of knowing their address. 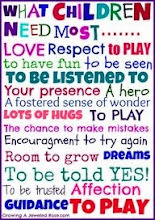 Laminate it and pop up on a wall in your child's play area. Then your part as the adult is to go over and over and OVER your address again and again and AGAIN! Hard work.... not really, time consuming.... not really, but remembering to do this often.... yes, that is the hardest part. We have taught our kids their address at 2.5 years old by continuously going over it. And I don't mean at the one time in just an hour of repeating yourself. - I mean as we are driving home, I will say "Oh we are just about home, we are nearly at 1 Lake street, Rainbow Town". - Then when Daddy gets home from work I say "Let's tell daddy where we live.... it's 1 Lake street, Rainbow town". - At different times through the day I will say "remember we live at 1 Lake street, Rainbow town". It was less than a week when our kids started telling us our address themselves. It is super cute hearing a 2 year olds tell you where they live. Save time when cooking dinner by pre-cooking. This tip will save you time when it matters most. Not that we have much spare time as busy parents, but when you have half hour to set aside or even better.... set the kids up with one of the activity ideas on this blog to give you half an hour then follow this idea to shorten dinner preparation time. This can be done with other vegetables also. I made up about 20 bags - so for 20 meals. They are perfect to throw into a stir fry or casserole, or even just for steaming to have on their own. The cooking time is halved and all the prep work is done, making the crazy meal time of an afternoon a lot less stressful. Cut carrots into serving size, we wash thoroughly and leave the skin on. Blanche the carrots by cooking to approximately 50% cooked, we did about 5minutes steamed over boiling water. Immediately remove from heat and place carrots into a bowl or sink of cold water- this stops them cooking any further. Lay them out to dry on paper towel or a clean tea towel. Once dry, place into serving size in plastic zip lock bags or freezer bags. Upcycling... Small & Medium size Boxes. Just as I was about to throw this tissue box out, I thought how awesome it would be for my kids to use as a hideaway for their cars. And boy was it a hit! Cut flaps out on one side or a couple, it's totally up to you. Only cut three sides so you can push it back up to close the flap; that is part of the fun, then you can hide the cars away. Finally I can reveal that I have some awesome news and I'm super excited to share with you all. I HAVE A NEW WEBSITE COMING. "HEALTHY FIT KIDS". The HEALTHY FIT KIDS website is currently being designed and with the help of a graphic designer it will be AMAZING! In the meantime I will run the Facebook page and provide information, thoughts, tips, facts and photos to make sure you have Healthy Fit Kids. Once the website is up and running I will add a link to the site here on my blog. Here's some points to explain it all until my company website is up and running. - Yes this is my new job, so I can be at home with my children and work on my husbands days off and at night. - In the future I will be selling items involved with keeping kids healthy & fit. - I will be writing a book (and/or eBook), which although is still a while away, I am currently collecting information and in discussion with publication companies. - I would like to run programs through primary schools in the future working with students, teachers & parents, although this will be once my own children are at school. - Most importantly- being a mum and wife is still my number one job and priority. I will share healthy & delicious food photos, recipes or meals each week. Get creative and give them a go or you can marvel at the amazing creations people can make with simple ingredients we all have in our fridges and cupboards at home. We all have them.... You know that random collection of magnets on your fridge from business' that you have accumulated over the years?! If you are like me, I have very rarely looked at these for the actual details on them, really they just become holders for whatever I want stuck on the fridge. Now with this great idea they are gone and we have fun, funky and kid friendly magnets instead, although still using the same old magnets from before. Get stickers of the kids favourite characters. For this I will show our "Minnie & Mickey" magnets. I placed the stickers all over the old magnets making sure I utilised as much of the magnet as possible by laying the stickers down as close to one another as I could. Then cut around the stickers in the shape of the character. PS. If you do need the contact details of some of the companies on the magnets, don't forget to add them to your address book before you start this activity. - and a pinterest page later, I'm still having fun with my little hobby- this blog. Thanks for joining me and checking it all out.